He had to junk it, a wheel came off or something on the interstate, wasn't a fun time. Sign the guestbook. IF YOU HAVE QUESTIONS OR A MESSAGE FOR ME, PLEASE use the comment form. Pictures of my 1994 9C1. Pictures of my 1989 Civilian Caprice. 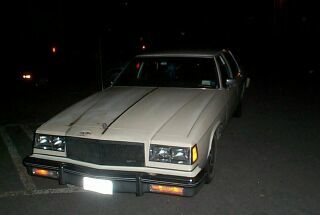 Pictures of my 1985 Civilian Caprice. All pictures ©2001-2003 Brian Florence. Cars on public roads considered public domain. Private (friends') pictures used with permission.